38 - $163.99 40 - $163.99 Only 8 left! 42 - $163.99 Only 9 left! 44 - $163.99 46 - $163.99 Only 5 left! 48 - $163.99 Only 4 left! Ah, the mighty pumpkin! So perfectly orange, lumpy, and round, it's a blank slate. It could be anything: scary, funny, scared, or horrific. A blank slate is great when we're talking about a pre-carved giant squash but when you're describing yourself "blank slate" isn't a way you want to be described. Black suits can say anything about you. Sure, they're classic but that's simply because we're used to seeing them, that's what we expect to see. A black suit has come to represent a lot of things and not all of them positive. For instance, when you see a man all suited up stepping onto an elevator with you, you might assume that he's serious, money hungry, maybe you'd even assume he has a temper. Here's the thing though, he's just a guy wearing the standard uniform of his position. If only men who wore suits from day to day felt like they had more options rather than changing up the pattern of their tie! 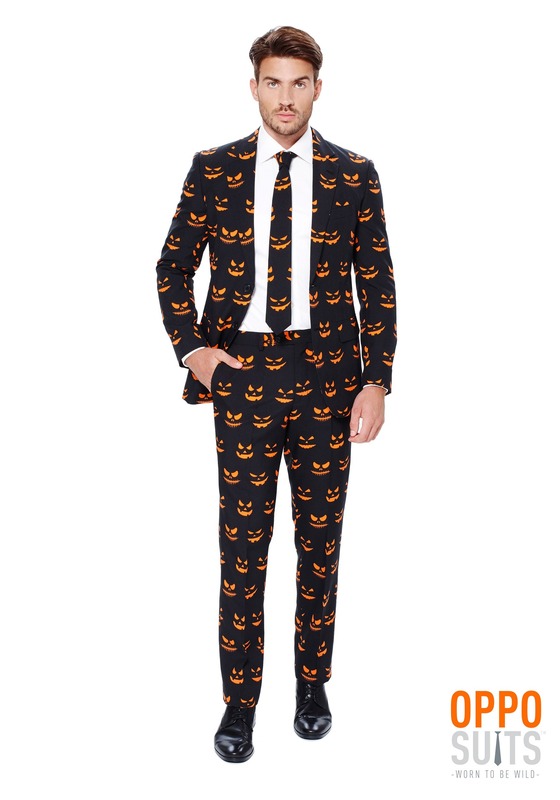 Turns out, suits, much like pumpkins can be just as expressive as any other type of clothing. Yes, you can carve out your personality in a world of blank slates. 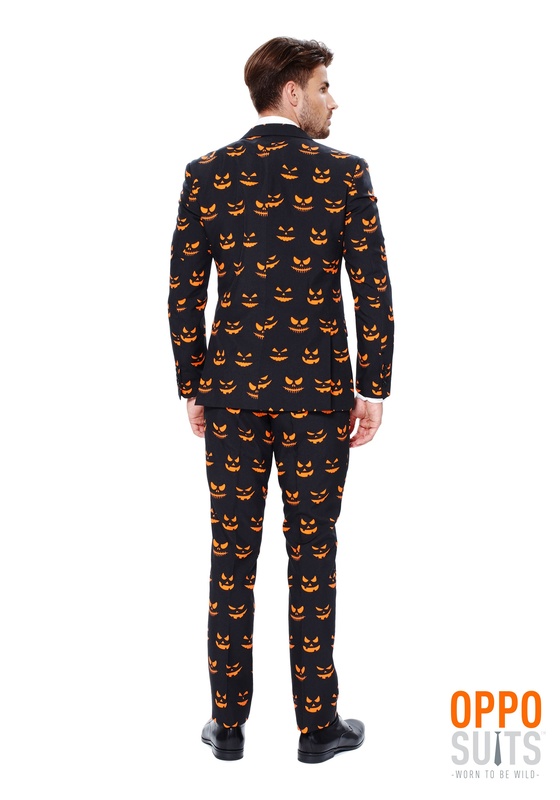 So, say you're headed to that big meeting that they scheduled on October 31st or you're on your way to a post work party, this pumpkin suit will lend you a look that says you've got a strong head on your shoulders unlike some people we know (looking at you headless horseman) while maintaining your love of the holiday. 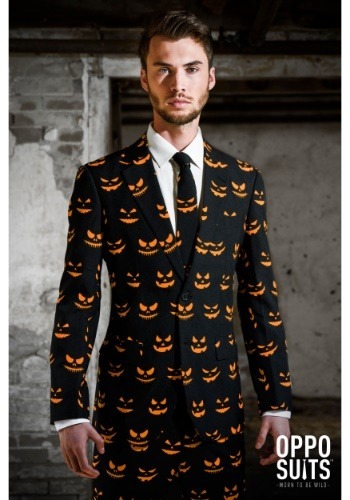 It's time to show those buttoned up suits the light, the light of the Jack-o-lantern, that is! So, carve out some room in your wardrobe because while there is a time and a place for the black and white standard and Halloween isn't it!